Many people want to grow fruit on a small scale but lack the insight to be successful orchardists. Growing tree fruits and berries is something virtually anyone with space and passionate desire can do – given wise guidance and a personal commitment to observe the teachings of the trees. A holistic grower knows that producing fruit is not about manipulating nature but more importantly, fostering nature. 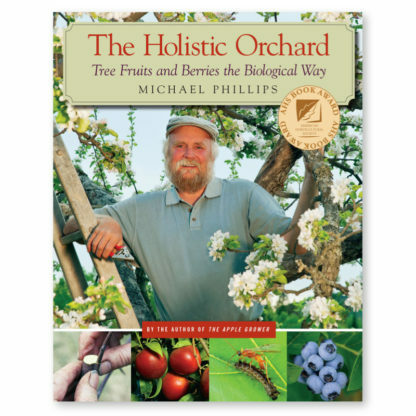 Orcharding then becomes a fascinating adventure sure to provide your family with all sorts of mouth-watering fruit. 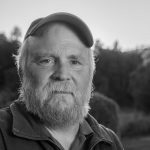 All along the way, Phillips’ expertise and enthusiasm for healthy growing shines through, as does his ability to put the usual horticultural facts into an integrated ecology perspective. This book will inspire beginners as well as provide deeper answers for experienced fruit growers looking for scientific organic approaches. Exciting times lie ahead for those who now have every reason in the world to confidently plant that very first fruit tree! Format: Paperback, 432pp. Color photos and illustrations throughout.